It is time for Firebird on Android and IOS ? With the release of Delphi XE5, with support for iOS and Android it also brings InterBase versions of these two O.S-es, people started to question whether we can expect a version of Firebird for mobile platforms. Apparently, it will happen! Paul Beach said he already has a version of FB compiling for iOS, but it still needs testing. 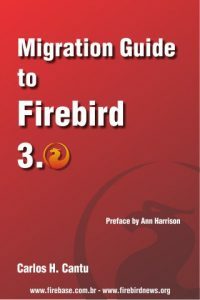 Anyway, the release versions for iOS / Android should not happen now, since developers are totally focused on Firebird 3 release. Just to be clear, I posted this news to FireBase based on the message Paul Beach sent to a discussion list. My feelings are that an Android/iOS version of Firebird may be released in the future, but I don’t see this happening in the next 18 months, unless some new people join the project and start working in the port/testing of such releases.